In simple terms, keywords are just words or phrases that people use to search for anything and everything online. Also ‘keyword density’ is the amount of a certain keyword per 100 words. Keywords are important. Considering that search engines are still the primary way in which people look for anything on the internet, it means that people who are looking for things in whatever niche you’re in, are going to be doing so on search engines. Thus, when talking about getting more readers for your blog posts, it essentially means positioning your blog posts in the relevant searches, so that they’re more likely to be found by the right people. What happens if this isn’t done? Well, say you had an article about blogging for money, but it didn’t contain any keywords that are being searched for a decent amount of times per month. In this sort of case, there would be no way that anyone would find your article, and so it would go pretty much unread and unattended. Admittedly, for long articles there inadvertently ends up being a keyword used here or there, but for reliable results, you’re going to want at least a 1% keyword density (but not more than 3%). First though, you’re going to have to find the keywords that you intend to use. This is where Keyword Research comes into play. Basic keyword research is really pretty easy, and there isn’t too much about it that even a beginner can’t come to grips with. To start off with, the keyword research tool of choice is Google Adwords Keyword Tool. Google is the most popular search engine around and getting data from it seems to be a logical place to begin. Quite literally, this is just the number of searches per month. If a term has a high number of searches, it means lots of people are looking for it, which definitely makes it a better choice. 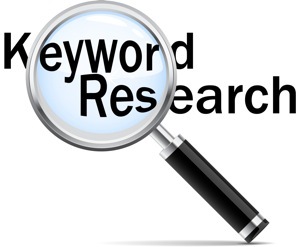 Once you have a keyword that has a decent amount of searches, go to Google and search for it. When you get the results, take note of how many there are. For instance, if there are 11,800,000 results, then that means a lot of people are competing for that keyword. On the other hand, if you end up with something like 1,800 results, then there are very few competing websites. With less competition, you stand a much better chance of appearing on the first page of the search results, which is really what you should be aiming for. Once you’re there, you will no doubt see a dramatic increase in your views. Not all traffic is as profitable, and sometimes, for certain keywords, the traffic that is obtained just refuses to be converted. While there are a lot of factors that can affect this, it isn’t too relevant as far as keyword research is concerned. Instead, it is better to know just one simple test of the ‘profitability’ of a keyword. When you perform a search for the keyword to scope out the competition, take notice as to whether or not any adverts appear. If they do, then that means someone out there feels that it is worth spending money on that keyword. Admittedly, this isn’t a 100% accurate test, but it enough to give you a general idea. By looking at these three areas of keyword research, you should end up with a list of keywords which you can use to position your articles well. Remember: The idea is to get profitable keywords that have a decent number of searches per month, and low competition. After getting the keyword, make sure you use them in your blog posts and also as part of the title foer the blog post. With the keywords that you’ve acquired, you need to enrich your articles with them. Mind you, there is a difference between enriching and stuffing, and search engines are smart enough to recognize when someone is trying to fool them. Insert keywords in such a way that they flow smoothly through the article, and follow the 1% to 3% keyword density rule closely. For each article, it is generally advisable to have one ‘short’ keyword of about 2 to 3 words, and two ‘long’ keywords of 4 or more words. If you do all of this effectively, you should be getting more readers for your blog posts. 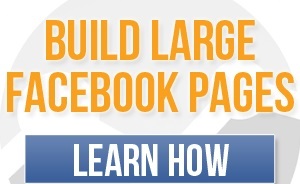 This translates to increase page views on your blog and also increase your blog’s readers base. Keywords matters a lot. Go ahead and make them matter to you, your blog and your blog readers.